Vodno is a well-known picnic place for all nature lovers who come here to relax and rest from the urban, city life. In order to demotivate the citizens to come by cars, thus polluting the nature, the authorities say they have set a pretty high price for parking – 100 denars per hour. But this parking place has been the same for years, without even the slightest investment in improving it. “The price is high compared to the parking cost in the city. In general, parking prices are high, and here it is even higher”, a citizen says. Another one believes that the price, compared to the one in the city is pretty expensive. “Everybody wants to go out for a walk, if I pay 100 denars here, 100 denars for the cable car, it is a lot of money, and here I am with my father for a walk for him to see the cable car”, citizens complain. They said that it should be prohibited to come to Vodno by car and that is should be allowed only for people with health problems. Although nothing has changed in the look of the parking places on Sredno Vodno, however, the “Parkinzi’s” balance increases. The survey conducted within the project “Monitoring the principles of public administration in preserving the values ​​of good governance” showed that for three years the public enterprises founded by the municipalities, had given rewards to the employees in the amount of 150,000 Euros. Most of the money or half of this amount was allocated by “Vodovod i Kanalizacija” (Water Supply and Sewerage) Skopje. For three years this Skopje-based company allocated 75,000 Euros, followed by “City Parking Skopje” with 15,000 Euros. For those who are familiar with the situation, such functioning of public enterprises is completely unnecessary. “We have a parking public company for the city of Skopje and for the municipality of Centar. We do not have one in Karposh, we park for free. Aerodrom is run by the City. It is a typical Balkan separation, everyone has his own territory, here we are, we grab the money. Unfortunately this is the case”, Borche Davitkovski, professor at the Skopje Faculty of Law said to us. Ace Kocevski, mayor of Veles believes that public enterprises are often abused by political parties in power. “ They serve to care for meritorious party staff, as a rule, they have great overstaffing for the same reasons, due to the pressure from parties to take the meritorious people”, he emphasizes. Ace Kocevski, the mayor of Veles is not satisfied with the services from this company. He complains that he is annoyed by the situation he sees every day. “Unfortunately, I hear about this for the first time, I need to check what it is all about, I am generally not satisfied with the state of public enterprises in Macedonia”, he says. He recalls for the time when he was a mayor earlier and when the number of employees was about 230, but meanwhile, he explains that the number has seriously increased. Public enterprises in Macedonia are basically overstaffed. For the period from November 2017 to April 2018, i.e. about 6 months after the change of the local government, in 67 public companies established by the municipalities the number of employees increased by 711 employees. The data available to SCOOP show that 660 people left, and 1,371 employees came in, or, on average, the number has increased by 11 employees per public company. The number of employees, for example, in Strumica Komunalec has increased by 129 employees, and in the PE “Komunalec” Kavadarci by 39 employees. 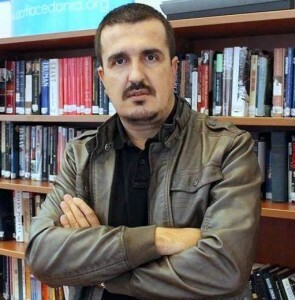 Borche Davitkovski, Professor at the Faculty of Law in Skopje appeals for sanctions. “We must legally have a form to sanction the mayors or the establishment of public enterprises, take Ohrid and Struga for example. I was engaged 5-6 years ago for a public-private partnership. The Spanish came and wanted to invest 30 million Euros in Proakva. They wanted to change the water pipes, the sewage system, the collector, the only condition was to reduce the number of 450 employees to 200, and the Municipality of Struga had set up its own public enterprises, every village there has a public enterprise, simply for political reasons, the mayors say yes, but without any lay-offs, all these to remain. So which foreigner fool would invest in order to give them salaries?”, he asks. Unfortunately, the conditions in municipal administrations in the country are no better. An absolute recorderis are Staro Nagorichane with 6, Debarca 5, Resen, Dojran, Strumica, Rankovce, Lozovo 4. European standards are 1 eployment in the municipality per 1,000 inhabitants. “The analyses have shown that there is a large discrepancy in relation to the number of employees in the municipalities, in relation to the number of inhabitants in the municipality itself, or depending on the size of the municipality. On average, the survey showed that there are 3 employees, but there are such municipalities where the number of employees per 1,000 inhabitants is 12 or 8 or 7, and there are also municipalities that are positive cases where there is 1 employee per 1,000 inhabitants”. According to Kocevski, the mayor of Veles, the number of 1.5 to two employees is optimal for larger municipalities or for the medium sized municipalities, and for small municipalities it is impossible to expect 1 employee per 1,000 inhabitants. “We have about 90 employees in the municipal administration, and the Municipality of Ohrid, which is greatly indebted and with a blocked account, in the last 20 years and more, having a similar number of inhabitants as Veles, has had 240 employees. The Municipality of Karposh, which is slightly larger than Veles, has 430 employees and has smaller competences than Veles, because in Veles, primary schools, high schools, kindergartens, cultural institutions are local, the territorial fire unit. Skopje municipalities do not have these competencies because they are part of the city of Skopje” Kocevski explains and continues: “At municipal level in Skopje, only kindergartens and primary schools are at municipal level. It is illogical Karposh to have 430 employees, which means that the municipality is filled with party meritorious staff who are seriously burdening the budget and so there are debts and now it is not fair for the state to cover the debts that are made for such reasons and I can be good for 100 families from Veles, “unlock the valve” and employ another 100-200 people, but what would I do with that, I intend to spend the money of the citizens who are poor on improving their quality of life, for water supply, streets and roads and not for salaries of meritorious party staff”. The Professor at the Faculty of Law Borche Davitkovski thinks that a local self-government with 450 employees is unacceptable. “We have ministries with 30-40 employees that cover the whole country. A good law on local self-government should be made very soon”, he believes. Although rare, there are still good examples of reasonable management of municipal enterprises. In the Municipality of Studenichani there are 26 employees. Ejup Abazi, Head of the Human Resources Department in the Municipality of Studenichani. “The municipality, according to the 2002 census, has 17,246 inhabitants. However, the number of inhabitants has certainly increased because we are a municipality that has the highest birth rate in the Republic of Macedonia. Currently, we, as a municipality, should have 23,000 inhabitants”, he stated. Burhaedin Nuhiu, Secretary of the Municipality of Studenichani explains that they have one communal company, that is “PUC Studenichani”. According to him,ther e are not many employees there. “The Municipality of Studenichani has employees within the limits of the norm. According to the European standard it is 1 employment per 1.000 inhabitants.We have a mayor who is not affected by such party pressures, he has a lot of experience in a party, and thus he manages to do it. If there is no need and he/she is not professional, there is no chance for employment in the Municipality of Studenichani. The first requirement is professionalism” he claims. There are a number of advantages for municipalities that have the optimum number of employees in their administrations. JEF Kumanovo volunteers emphasize that the extensive administration creates very expensive services. Talat Agush, a member of JEF Macedonia thinks that this represents an additional cost to citizens and these resources could be redirected to some other ongoing costs or to some other activities such as reducing pollution, infrastructure and redirecting resources to other needs. SCOOP Macedonia has made a simulation of the cost of workforce in two neighboring municipalities in area called Pelagonija. The services of the administration in Novaci are 11 times more expensive than those in neighboring Bitola. Thus, the average gross salary for June 2018 according to the State Statistical Office was 35,530 MKD. According to this calculation, every citizen should pay 280 denars for the employees in the municipality of Novaci or about 1,100 denars per month per family. For the same services, only 10 km away from Novaci, the citizens of Bitola pay 43 denars per person per month. “Municipalities have become party headquarters of parties that are winners at local level. Local sheriffs, the mayor and plus if his party has a majority, they do what they want to do, without any real control by the central government. In all municipalities, we now have a deputy, if for example in Skopje the mayor is from SDSM, the deputy is DUI and it is fixed. He now has a secretary, a cabinet, it’s nonsense. He is an ordinary advisor. He has to have a cell phone, a secretary, a head of the cabinet, every deputy minister must have a cabinet. The administration is growing and growing although they do not have incomes”, Borche Davitkovski, Professor at the Faculty of Law stated. However, apart from regular elections, if a local government works poorly, is it possible and how can it change in one municipality? “We have a head of the state with impeachment, if 2/3 of the MPs find that he has violated the constitution etc., the Constitutional Court only concludes with a majority of votes and his function stops. The whole country votes for a president of a country who goes to central elections. We do not have a mechanism for an ordinary mayor to be dismissed unless God takes him or God forbid he commits a crime”, Davitkovski says. And while waiting for better times in the municipal administration, citizens will hope that the situation will gradually improve. Until then we will have to live in reality.